Learning how the brain absorbs information and put it to use has always fascinated me. How the neurons connect with each other and link up the various bits of information so that one can understand is really intriguing. It’s really amazing how one processes bits of information and make sense out of it. Absorption, analyzing and applying it are the steps that we go through when we learn something. Sometimes understanding comes to us like a snap of finger. It feels great when that occurs as we are able to maximize the knowledge that we just gained. On other occasions, we can try as hard as we can it is still impossible to fathom what is being read. Most of the time the problem we have is not the understanding part but making it stick. Being unable to recall, forgetting the important parts and having gaps in our learning can make one rather exasperated. 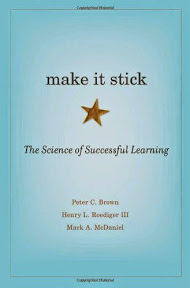 Make It Stick: The Science of Successful Learning by Peter. C Brown, Henry L. Roediger III & Mark A. McDaniel is the latest book that I’ve read. 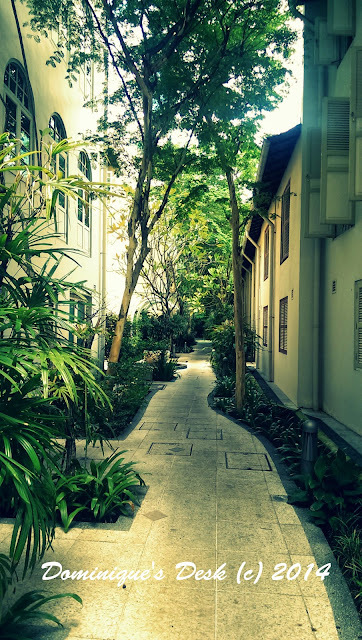 It’s really interesting as it examines the different learning style and strategies that people have been using throughout the years to learn. Depending on your learning style there are quite a few tricks that I’ve learned from reading the book. In general the following techniques should work for most people. This is done after you have finished reading the book to help yourself remember the important parts of the book. 2) Setting a focus prior to reading. I have found that if you set a focus and have questions on hand before reading the text it will make it easier for you to find the answers that you are seeking. To read blindly without any focus results in you wasting time and you may not be able to grasp the meaning of what you have just read. 3) Use different methods to retrieve the information you have gathered. If you are an auditory learning it would help that you read aloud to yourself your summary of the passage that you just read. This will help you internalize the information better and retain it longer in your memory bank. You can also rely on flashcards to do your reflection if you are a visual learner. By shuffling the flashcards before you read them you are forcing yourself to recall what you have learned and not just the sequence which the cards were displayed. Spacing out your reflection will also help you retain information better. One way would be to review the information 24 hours later, then the same information a week later, 2 months later and then 6 months later to reinforce what you have learned. Cramming and do not work well as you are trying to stuff too much information into yourself in a short period of time. Re-reading without a purpose also will garner the same result as it doesn’t mean that reading it again you would be able to understand it since you didn’t understand it the first time around. I’ve personally tried both these methods and they have been ineffective for me and would not recommend them. What have you learned last month? Disclaimer: I bought the book from Book depository . This post has a compensation level of 3. Please visit Dominique’s Disclosure page for more information. I’ve learned a few Bible things from Ezekiel, mainly because I’ve been teaching from it now and then by team teaching (teachers rotating) on Sunday mornings. I’m also learning how cruel the people in parts of our world can be. Back when I was finishing college I had sooo much reading and I was also working at NASA, aerospace engineering flight control, that I couldn’t get everything I needed read. So I took an ‘Evelyn Wood’ speed reading class. She taught some of the fundamentals that you mentioned here to help with comprehension. BTW, is it always the Pineapple? Robots are fast learners, you might want to change them up. It’s not always the Pineapple.. infact it is rather random.. like this time I was made to click on the banana before I could post my reply to you. Great that you manage to read part of the bible . I recently went for a photoreading course and it has helped to speed up my reading too. Great that you shared these relevant points. Learning is always going on ~ mostly with photography and the computer right now ~ Fun post ~ love the photo! No one has yet fathomed what the human brain can do indeed. Fascinating sharing! Fascinating! Thanks for sharing it with us. Going to have to spend some time thinking about this and putting it into practice. Did your book mention repetition? Repeating a concept at least four times increases the odds of sticking. Of course, I always say that you haven’t truly learned a topic until you can explain it clearly to another person. But that’s just me being weird. I have learned to trust God more. That He will make everything happen and I don’t need to worry about what will happen. This is a most fascinating post! 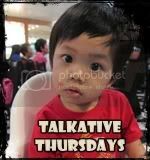 I think that we absorb more quickly topics which interest us the most. I need to train myself to remember other topics as well. This book could be a great help! When I was studying, I “talk” to myself when reviewing. It was effective. I hope it is still now since I haven’t been in a classroom setting for awhile. Now, I talk to myself before I do my presentations. I should send this book to my son, who is a medical student. He has so much to learn that he could use a few new gimmicks! I’m always astonished by people who are able to learn so quickly!